We have already seen the trailer for IDR. 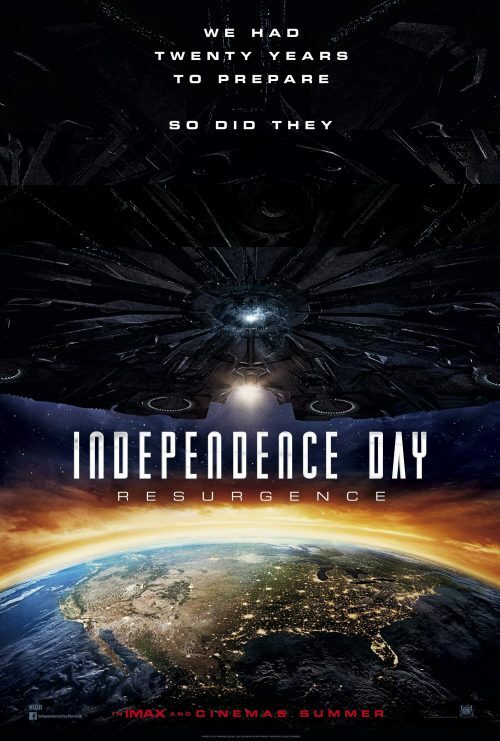 Now we get the poster and the aliens seem annoyed at Earth for some reason. We have been working for a day like this ever since we won twenty years ago. This time they are back and are better. Who will win this time? There have been a lot of changes over the years. Some have sot lived to see this day. Others are regretting seeing them back. Will Mankind come together again to survive?